Washington Nationals left fielder Jayson Werth has been reinstated from the 15-day disabled list so he can join the team for its series at the Boston Red Sox. To make room on their roster, the Nationals optioned outfielder Matt den Dekker to Triple-A Syracuse before Monday's game at Fenway Park. 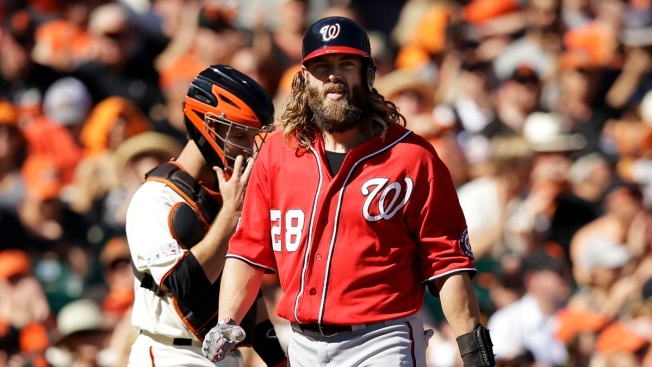 Werth missed the first six games of the season after surgery on his right shoulder in January. He did a rehab stint at Single-A Potomac last week. Den Dekker is 0 for 2 as a reserve for the Nationals this season. He was acquired March 30 in a trade that sent lefty reliever Jerry Blevins to the New York Mets.